The emergence of the do-it-yourself trend is becoming even more popular as more homeowners look to enhance their home while still sticking to a budget. To help homeowners achieve their goals of upgrading their existing home features inexpensively, companies are offering courses for “Do-It-Yourselfers.” Such courses help DIYers learn about home improvement projects, such as how to install electrical components like receptacles and switches. 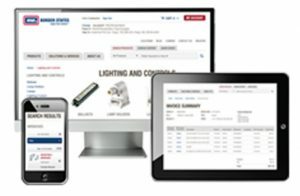 For example, Leviton announced a one-stop resource for DIYers with videos and blog articles at the Learn It at Leviton website. The website helps homeowners with planning and doing home electrical projects safely. As companies like Leviton illustrate, there are opportunities for experts in the electrical construction industry to provide assistance for DIYers to accomplish their home improvement goals safely. Consumers often contact electrical contractors in case projects don’t go as planned. They may also need advice about how to approach these projects safely and correctly. A friendly contractor is only a call away to lend a hand and potentially get an extra job if the DIY project becomes too tough. But where can DIYers turn to receive instruction? This is where Google Helpouts come in. Google introduced its new service Helpouts as a way to connect regular consumers with experts—from home repair gurus to personal trainers—in real-time using video chats. Google Helpouts provide an opportunity for contractors to help their customers with some much needed insight and guidance with their home improvement projects in exchange for cash (electricians could also provide free advice if they choose). For example, an opportunity for Helpouts may be the recent incandescent phase-out because it’s a current popular topic for which consumers are seeking information. To get in touch with customers, contractors simply need to have a Google account. They also need to set up a Google Wallet account before using Helpouts, which is free to sign up and receive payment for helping homeowners. Google Helpouts works by allowing consumers to choose experts based on their qualifications and availability. They can click on the Helpout to learn more about contractors’ qualifications. As with other forms of e-commerce, reviews and ratings are available on Google Helpouts, which may also play a key role in how consumers pick contractors. Word of mouth is usually a good way for contractors to gain business, and building a strong reputation on the Web could influence future growth. A helpful partner like Border States can keep contractors up to date on the latest technology offerings and tools to help them better connect with customers who need them most.